My name is Richelle Byrne and I have been in the Real Estate industry for 17 years. Before becoming a Realtor I worked in the abstract/closing side and that base has been a wonderful asset over the years in helping my clients achieve a successful closing. I strive to be knowledgeable, honest and 110% dedicated to YOU. Bought a Single Family home in 2019 for approximately $225K in Edmond, OK.
We love Richelle! We met Richelle by chance at an open house. We knew right away that she would be our choice as a realtor when it came time to purchase a house. She's so pleasant to be around and makes the entire process easy. She takes the time to explain each step of the process and offers help on everything. We will use her again when we decide to buy another house! Bought a Single Family home in 2018 for approximately $275K in Faircloud Hills, Edmond, OK.
Richelle was recommended to us, and we were extremely happy with all of her efforts and expertise. She was very patient as we looked at several houses, and was a great listener - no pressure whatsoever. I hope that we don't need to move anytime soon, but when the day comes, I will call Richelle again. Bought a Single Family home in 2018 for approximately $225K in Edmond, OK. Working with Richelle was such a wonderful experience!! I’ve bought 4 houses and she’s my favorite realtor!! If it weren’t for her quick responses, we wouldn’t have made our closing date!! Bought and sold a Single Family home in 2018 for approximately $125K in Moore, OK.
Richelle was absolutely amazing! She has so much experience and knowledge that it made the home buying/selling process a beeeze! She has gained customers for life. My husband and I were beyond happy with the service we received! Sold a Single Family home in 2017 for approximately $525K in Edmond, OK.
Richelle is so great to work with. She goes above and beyond to make a sale happen. She was responsive to our needs and concerns. Thank you for all your hard work to get our home sold! Sold a Single Family home in 2017 in Edmond, OK. I cannot give Richelle enough praise. She took us to look at a bagillion homes and properties. We honestly were being a bit unrealistic and REALLY picky. Just when we were about to give up she found us the perfect home with almost everything on our impossible must have list, under budget. She acted quick and set up a meeting with the other realtor to get a contract on that home. It was a new construction home that was going to be ready for closing in just 60 days.... PLUS since we had to sell our house we had to make sure another buyer without a house to sell didn't come along and put a contract on it in the meantime. She worked over the weekend to walk us through everything we needed to do to get our house picture perfect. She referred us to a lender to get us preapprovd quickly and got our house listed in record time. She was available by phone anytime everyday for our thousands of questions. She scheduled an open house for the very next weekend, but had an accepted offer before then, in just 5days!!! She immediately let the realtor on our new home know and thank goodness bc another buyer was about to submit an offer on that house and sweep it out from under us! She was so fast and so precise every step of the way. She has continued to walk us through inspections and appraisal. We are so thankful for how hard she worked to make this happen for us! This is our second time to work with Richelle and we'll never use a different realtor! Sold a Single Family home in 2016 for approximately $275K in Luther, OK.
She sold my house in five days, yes 5 days! My husband and I have relocated several times with his job and I can honestly say that not all realtors are equal. Richelle is awesome she came into my home and put us at such ease about showings, open house and the relocation process. Every time a question arose she responded quickly and was available all hours of the day, or night in some cases. Not only does she have such a sweet personality she is also very knowledgable in her profession. My only regret is that I can't use her for my new purchase as it is several states away. I would highly recommend Richelle Byrne for the sell or purchase of a home. Bought a Single Family home in 2016 for approximately $400K in Edmond, OK.
Richelle was referred to us by our son and daughter-in-law as we transitioned from another state to be near our young granddaughter. From day 1, she was responsive, helpful, and a great listener. As this was our 10th home, we are very finicky buyers, but that never stopped her from find us a great home. She is knowledgeable about the area, subdivisions, schools, but more importantly became a friend who we felt we could trust with our major purchase. 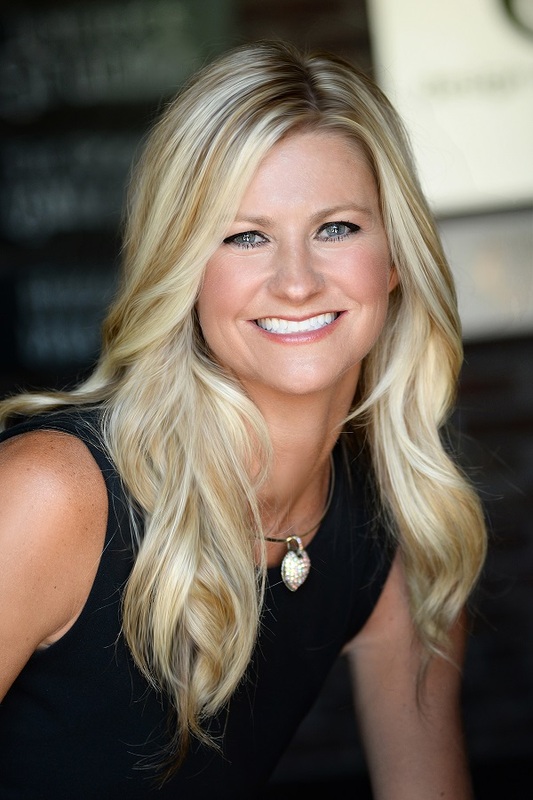 We will recommend Richelle to anyone buying or selling a home in the OKC / Edmond, OK area! We LOVE Richelle! Sold a Single Family home in 2015 for approximately $150K in Edmond, OK.
Richelle was wonderful! She hit the ground running as soon as we talked with her about selling our house. She uses a professional photographer for the house pictures...they made our house look great! We quickly had showings and offers and had a contract signed in no time! Sold a Single Family home in 2016 for approximately $125K in Meridian Avenue Corridor, Oklahoma City, OK.
Richelle is the best...always keeps in mind her buyers or sellers best interests! Therefore, protecting, performing & doing the fantastic job that she does even with all the hoops a Realtor has to jump through over & over until the closing. Maintains a subtle determination that gets others to move along & get their work done as well. Insightful & a sweetheart. Always a pleasure doing business with her.